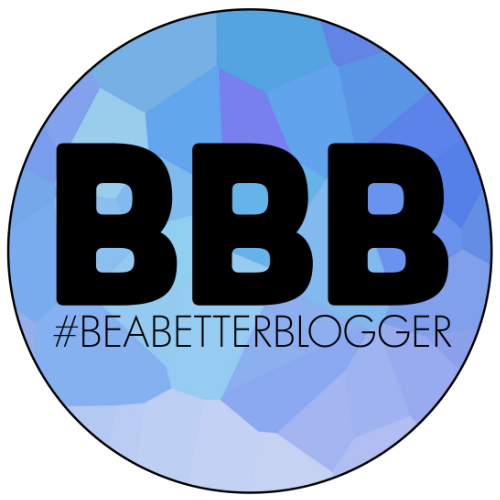 Sunday Lately is a weekly linkup hosted by the Blogger Tribe, which is fearlessly led by Katy (Wild and Wanderful) and myself. We e-hangout every Sunday, sharing a small glimpse into the past week of life in our own worlds. We’d love if you could join us! This week’s themes: Enjoying, Hoping, Forgiving, Delving, Relying. Uh oh. I spot an error. This year’s Sunday Lately was supposed to have 5 different prompts each week. I spot a repeat. Can you…? I’ve been re-reading You Are a Badass and The Devil Wears Prada and thoroughly enjoying both. I’m hoping that this week is good and productive. Set the intention and it shall be! It’s a silly lesson, but I’ve been forgiving myself for small things. Showing myself the grace that I show others when I make a mistake has been hard – I’m the worst critic of myself – but it’s necessary. The words that you repeat to yourself are the words that become your reality. Be nice, no exceptions. I’ve been delving into baking with booze. The other day, I made a raspberry wine buttercream frosting and it was almost as good as it sounds. Needs a little tweaking, but it isn’t bad. Mantras are a new thing for me, but I’m using them and relying on them to help rut-bust me right now. I guess you could say I’m delving into that, too. This week’s themes: Procrastinating, Hiding, Imagining, Sharing, Praising. Ironically, I procrastinated writing this until Sunday morning (usually I’ll do it a day ahead so I can relax in the morning). So this will be short and sweet. I don’t think I’ve been needing to hide anything. I don’t live with anyone, so no presents have to be stashed under the bed or anything. I guess if anything, I’ve been shoving things in closets instead of cleaning and actually getting rid of things, so you could say I’ve been hiding clutter. Warmer days. It was bright and sunny yesterday and I felt so much better than I have in past gray days. Sadly, knowing Pittsburgh, there will be one 65 degree day at the end of February, a little in April, then nothing until late May. And the rest of the days will be cold. I had to buy flowers the other day just to brighten things up. This wonderful community! I’m so thrilled that Katy asked me to be a part of the Sunday Lately leaders last year and it’s just exploded into this group of smart, driven, interesting women. 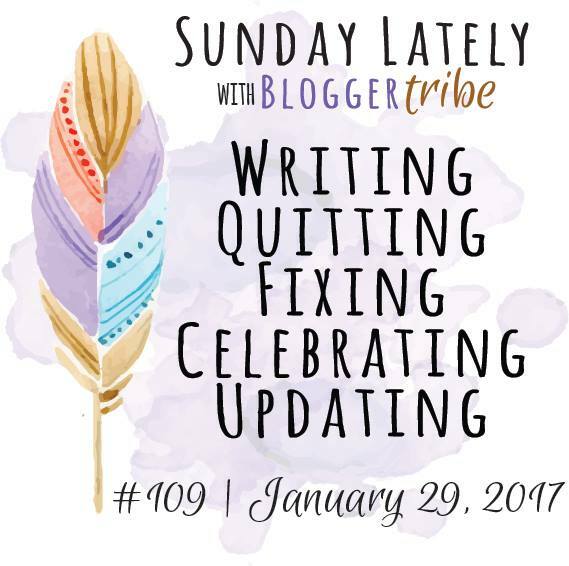 This week’s themes: Writing, Quitting, Fixing, Celebrating, Updating. I wish I could say I’ve been writing blog posts, but that’s been kind of slow going recently. 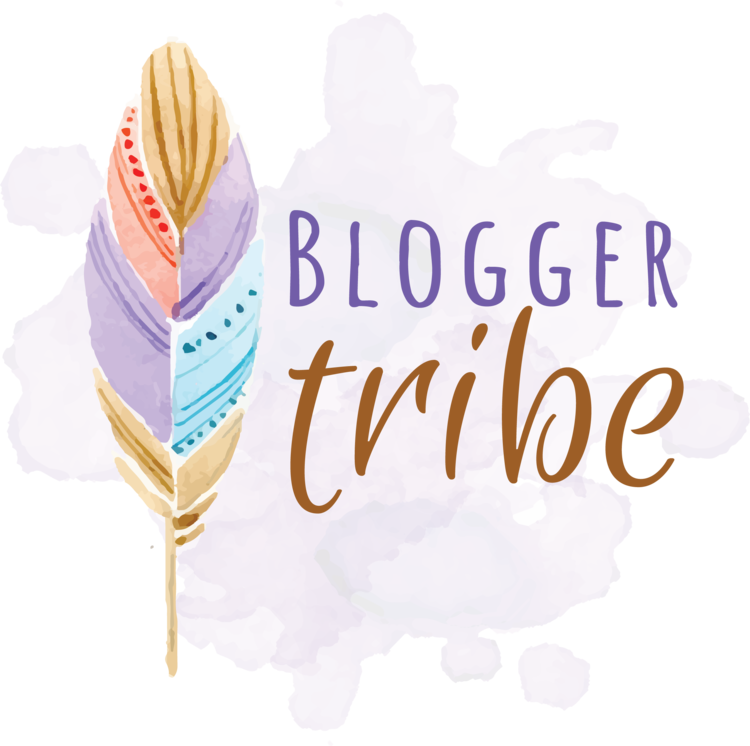 I have been working on a new Blogger Tribe website, which Katy and I hinted at this week, so that counts as writing, right? Hm, there isn’t much that I’m quitting. I guess you could say I’m trying to quit making myself seem small and insignificant all the time, especially around people that seem like they’re busier/more important/better than I am. 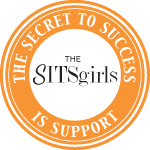 Making strides with the Blogger Tribe group! 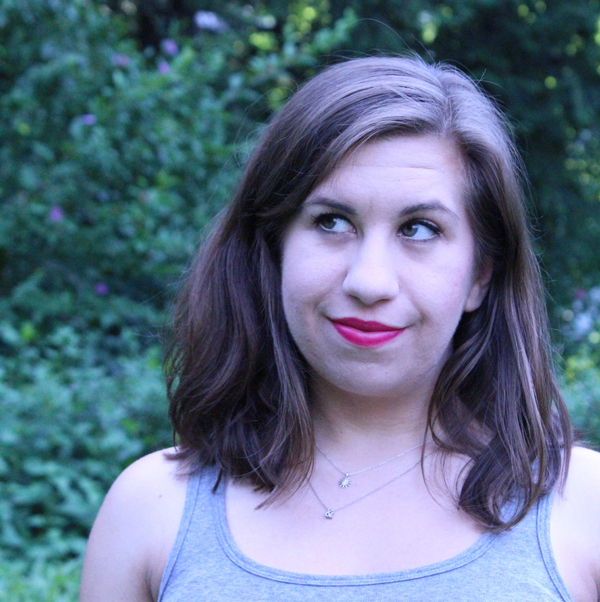 Katy and I met this past Tuesday to discuss some projects, again that we hinted about in the group via Facebook Live, and we think they’re going to be awesome, so I’m all kinds of excited to see where we can take this. Last week, I needed to change the energy in my office, so I moved some furniture and updated some storage things. Hopefully it brings the good vibes in! This week’s themes: Searching, Relying, Addressing, Praising, Singing. …for a new planner. Kidding. I feel like it’s tradition for me to write about a planner at some point every Sunday Lately. I’ve been searching for some good organizational systems. I was able to participate in the #createlounge Twitter chat on Wednesday and it made me realize that my space needs a creative refresh. I can let go of a lot of extra things and streamline my office. What’s your favorite storage item? I’ve been writing every morning and I always try to include a section of what I’m grateful for and a bit of praise of what’s been going on right. Even a little bit of gratitude has been going a long day. Last week was a little rough and this practice really helped me to write what’s bothering me then release it so I wasn’t dwelling on it. I don’t sing. I’m not a singer. I can play musical instruments, but my talent stops there. That said, Anberlin is my go-to for car singing. This week’s themes: Thinking, Finding, Allowing, Insisting, Repeating. My goodness, I am STILL thinking about my planner. Like what? I don’t need to be using all this time for it! But planners and notebooks make me happy. Why are you denying me my happy, single-focused-planner thoughts?? To that point, I’m still finding planners that I like. I know, I know! Katy, this one’s for you, because I found another something SHINY. I want to keep everything together in one notebook and the Arc book I made for blogging is nice but BIG and I want something purse-sized. And then it hit me. A travelers notebook. I can keep everything together, but I can have separate books for each client, blog, home to-dos, and so on, AND not worry about sectioning off a regular notebook. That is a surefire way to crash through a guardrail and sail into the ocean in flames. I absolutely HATE asking for help. I will not do it. I think it makes me look like I can’t do something for myself and I was not raised to sit around and let people do for me. I insist that I can do things and I don’t need anyone’s help. Well I cracked and asked my step-dad to help me move a couch while he and my mom were here this past week. It kinda isn’t perfect in the room and I need to rearrange (I know I’ve made that comment before) things a bit more, but for now, it’s much better than the 30+ year old loveseat I was using. Plan, plan, plan. Basically I’m just repeating all the planning prompts, aren’t I? I’ve been repeating a morning habit and I love it. I get up, I make coffee, I sit and journal. I’ve been on a hot streak of writing since January 2 and it’s a great way to ramp up for the day. How do you get yourself started each day? And what have you been doing lately?